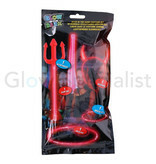 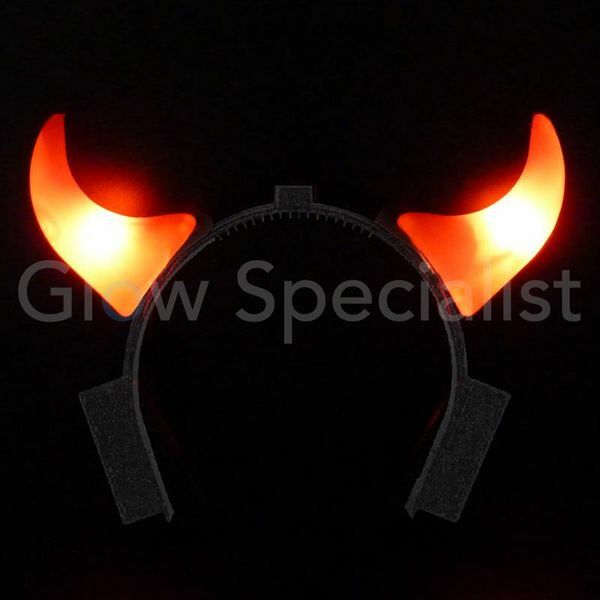 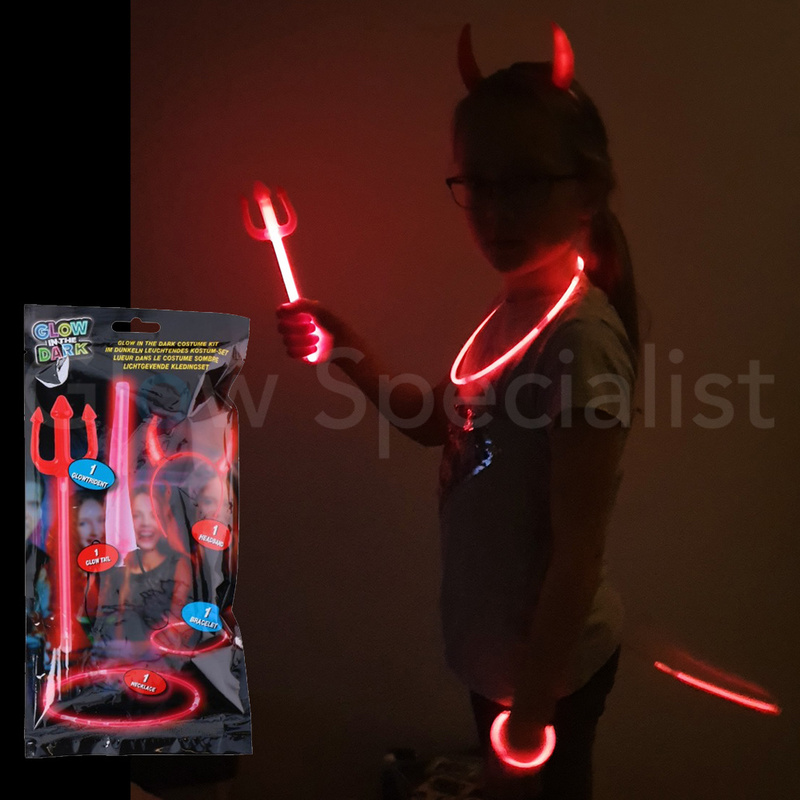 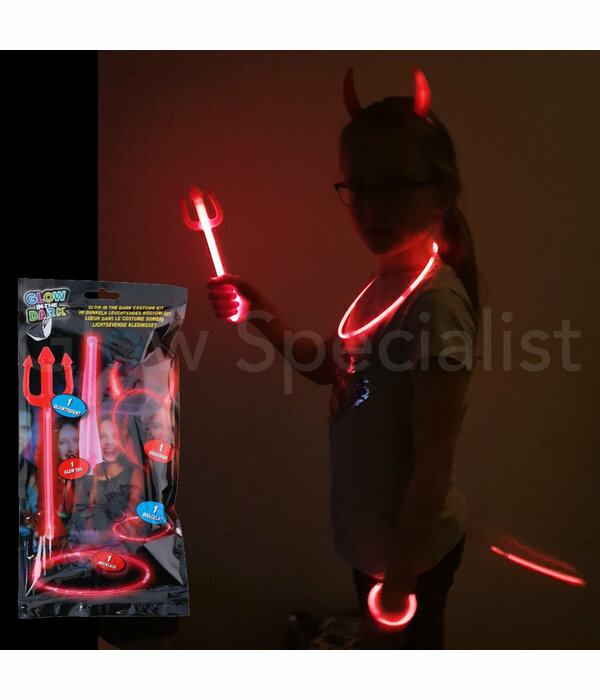 Funny Halloween set with 5 accessories to complete your devil outfit with red glow sticks that can give light in the dark. 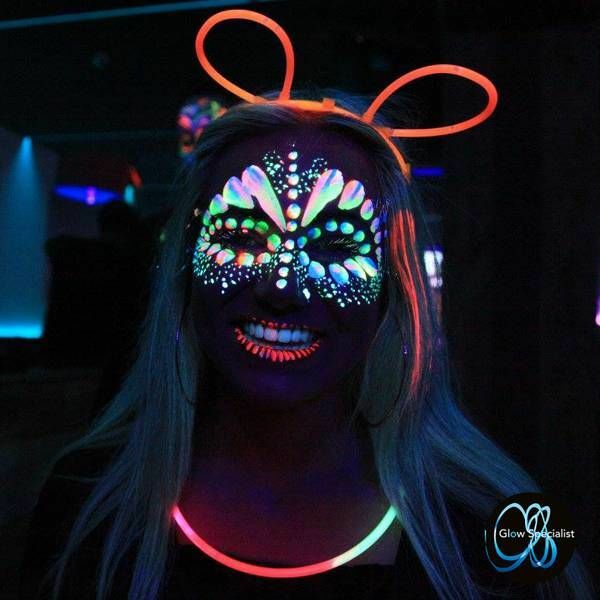 So you stand out well! 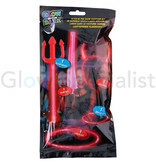 This devil set is small zo mainly suitable for children. 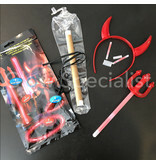 Ideal to finish your costume with! 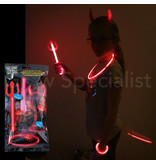 But also as a separate Halloween accessory - when you don't want to be completely dressed up. 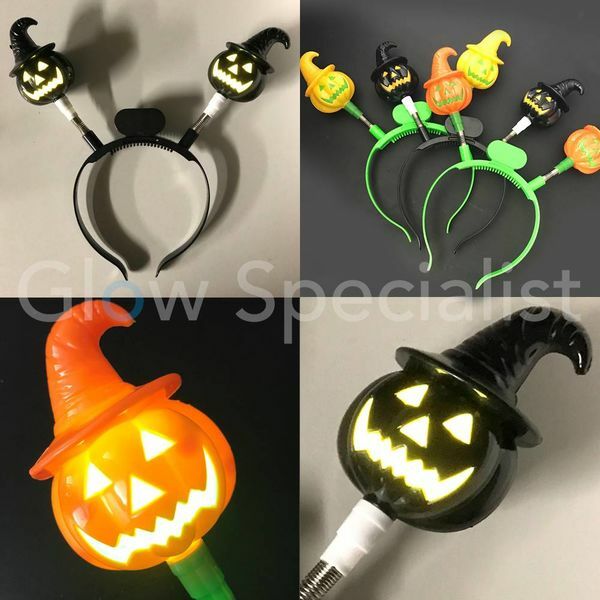 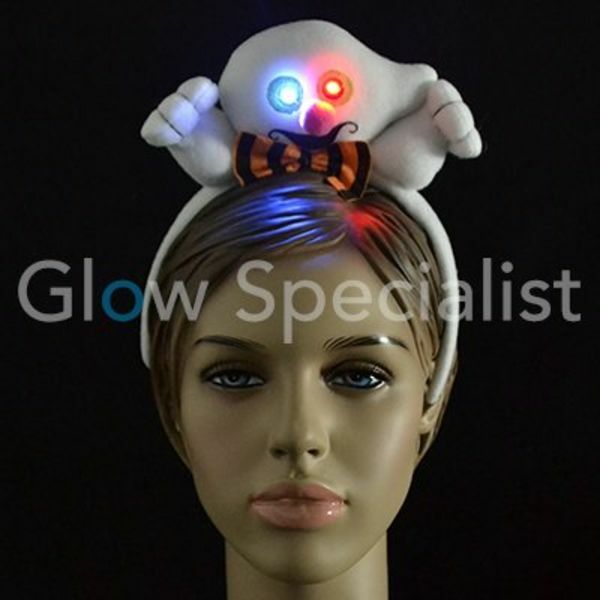 Cool accessories for the dark during Halloween ghost tours or Carnival. 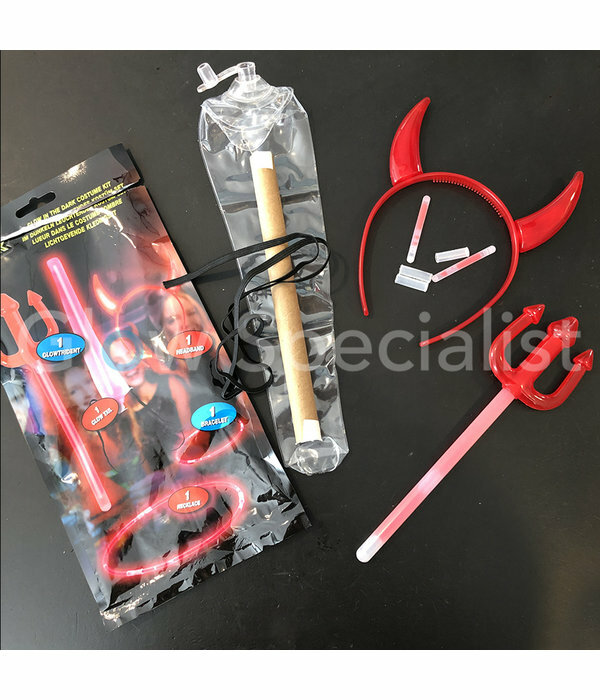 The parts are supplied separately, but you can easily assemble them. Grasp the glowstick with 2 hands and gently bend the glowstick about 20 degrees, so do not bend in half. 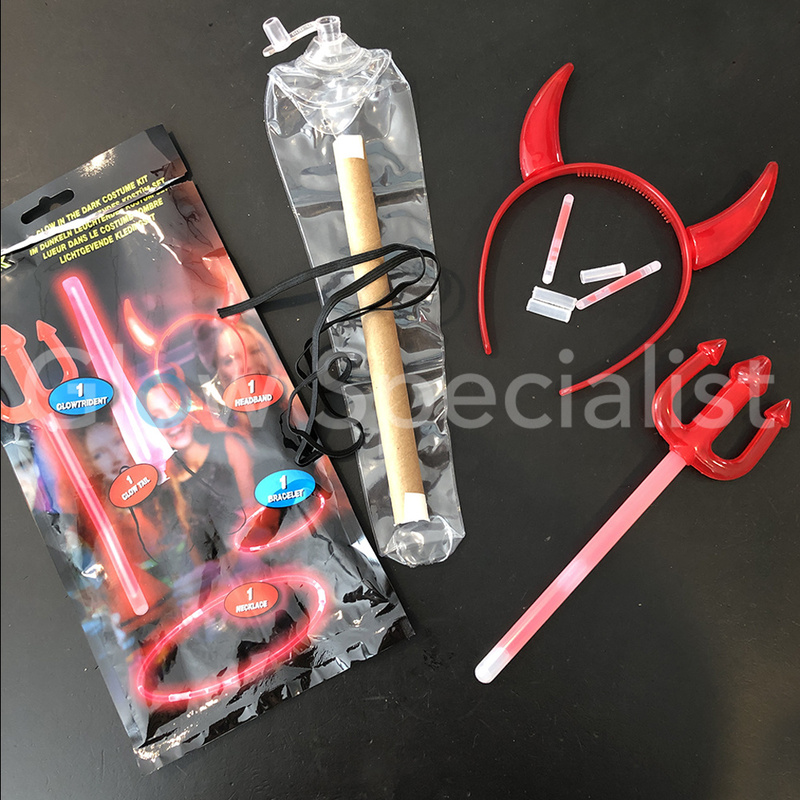 After bending, shake the stick until it gives nice, even light. 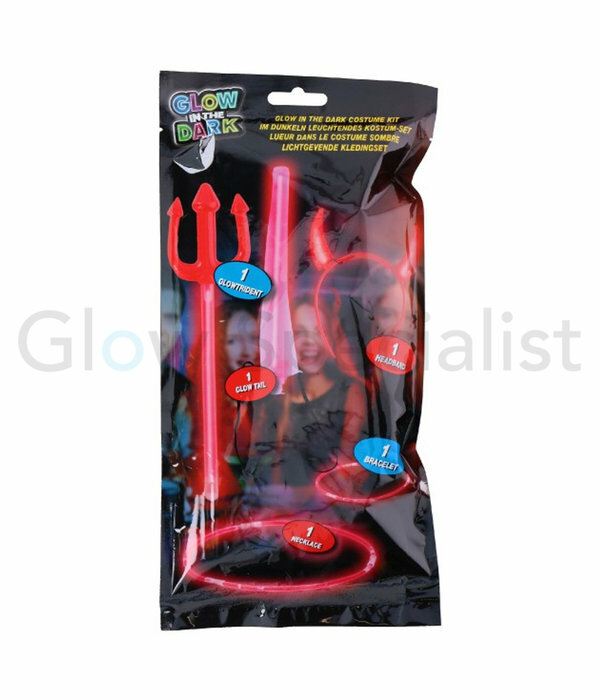 Burn time: depending on the ambient temperature, the glow sticks will illuminate between 8 and 12 hours. 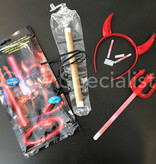 With heat the sticks will burn brighter but shorter. 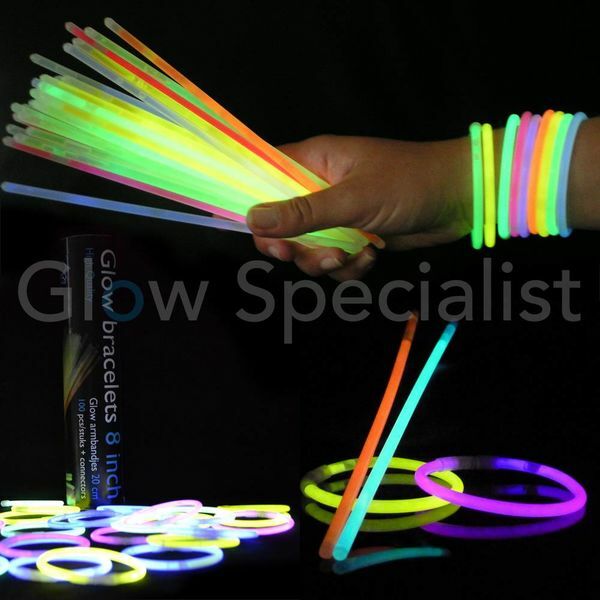 If it is cold, the glow sticks will burn less brightly, but longer. 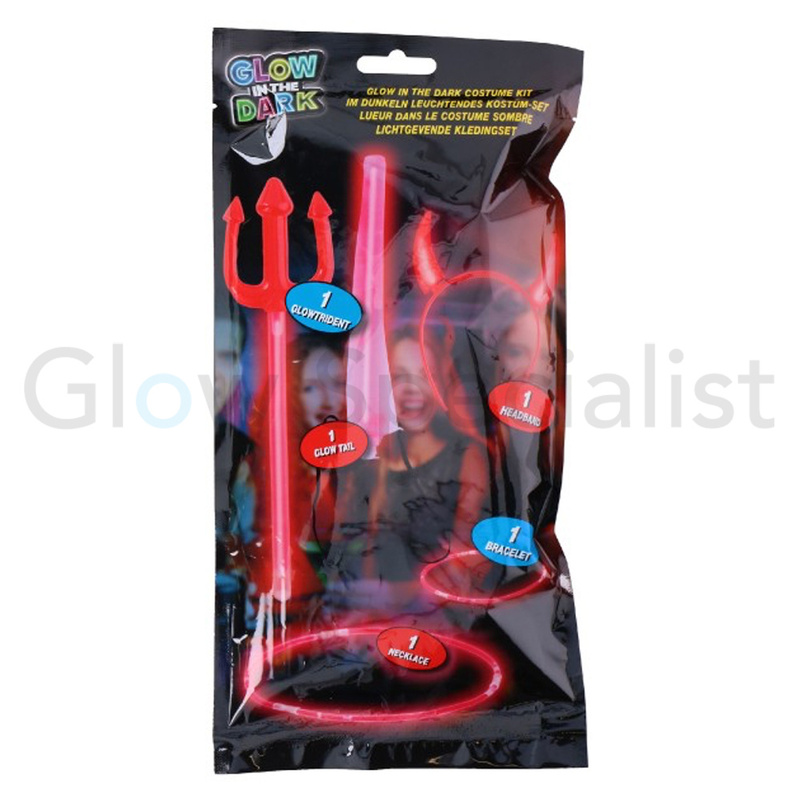 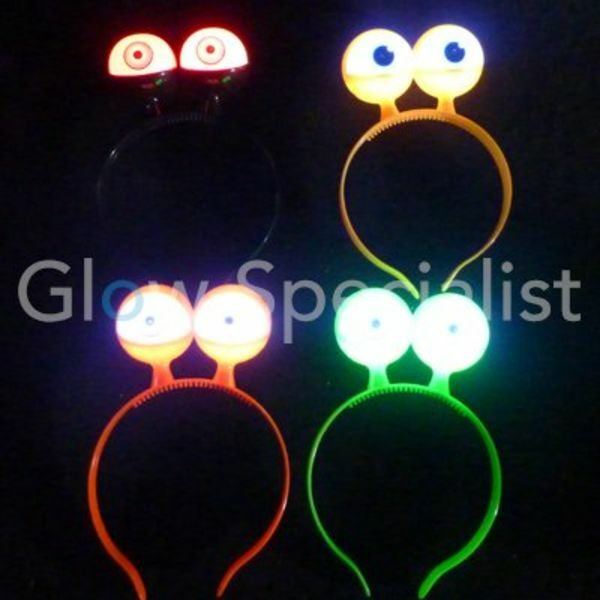 Including 2 mini glow sticks + 5 glow sticks of 6 "